Washington: The FBI has released 16 chilling portraits drawn by a man who may be the most prolific serial killer in US history in an attempt to identify some of his victims. 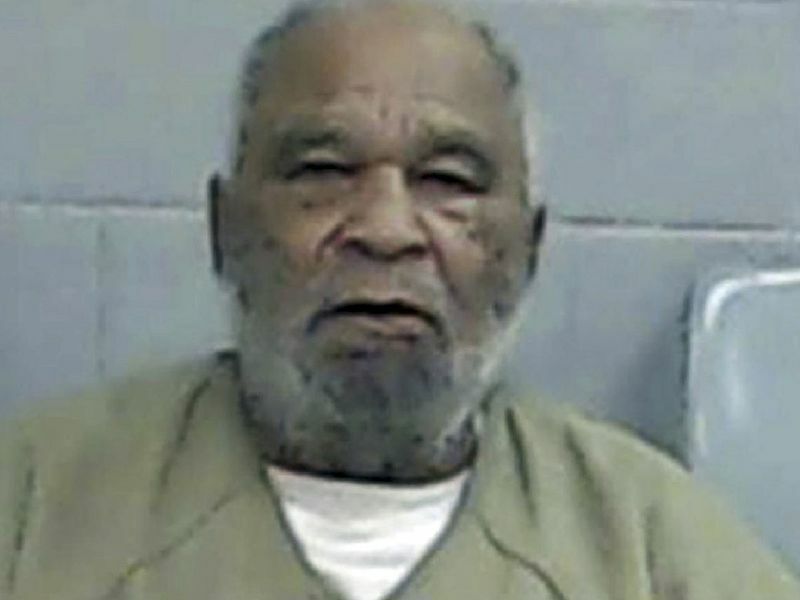 Samuel Little, a 78-year-old drifter, has confessed to 90 murders committed between 1970 and 2005 and law enforcement authorities have corroborated more than 40 of them so far. Little, a 6ft 3in (1.9m) former boxer also known as Samuel McDowell, is serving a life sentence for murder in a Texas prison. Little mainly targeted drug addicts and prostitutes during his decades-long coast-to-coast murder spree and many of his victims were never identified. Little usually strangled his victims, the FBI said, and many of the deaths were not investigated as homicides but were attributed to drug overdoses, accidents or natural causes. The Federal Bureau of Investigation on Tuesday published the 16 portraits drawn by Little from memory in his prison cell and asked the public for help in identifying them. 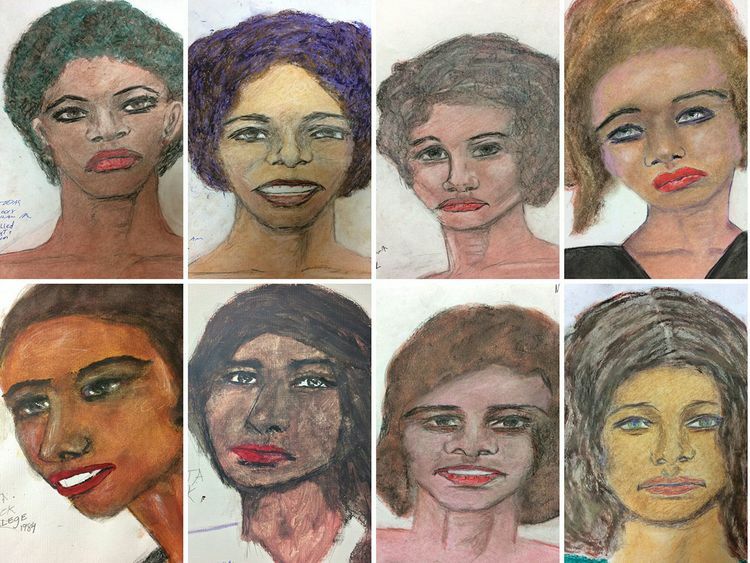 The drawings include details such as the color of a victim's eyes or hair or the blue headscarf she was wearing when she was abducted. One picture, for example, depicts a white woman with green eyes and brown hair aged between 20 and 25 years old who was killed in Maryland in 1972. Another is of a black woman between 23 and 25 years old with bright red lipstick and red earrings. She was killed in 1984 in Georgia and may have been a college student. Another is of a black woman with purple hair aged between 25 and 28 years old who was killed in Houston, Texas, decades ago. Bobby Bland, the district attorney in Ector County, Texas, told AFP in December that the total number of confirmed killings attributed to Little is now more than 40. "He's talking about things, cases that happened up to 50 years ago, and he's giving details on all these different murders, and none of the statements he's made have proven to be false," Bland said. The FBI has been working with federal, state and local agencies to match Little's confessions to unsolved murders across the country. If all 90 confessions are confirmed, Little would be the most prolific known US serial killer. The deadliest known US serial killer is believed to be Gary Ridgway, the so-called "Green River Killer" convicted of 49 murders who is serving a life sentence in Washington state. Little was arrested at a homeless shelter in Kentucky in 2012 and extradited to California to face drug charges. Once there, DNA evidence linked him to three cold cases and he was convicted in 2014 of murdering three women in Los Angeles between 1987 and 1989. All three had been beaten and strangled. Little grew up in Ohio, dropped out of high school and lived a "nomadic life," shoplifting or stealing to buy alcohol and drugs, according to the FBI. His criminal record dates back to 1956 with arrests for shoplifting, fraud, drugs and breaking and entering. He was accused of murdering women in Mississippi and Florida in the early 1980s but was not convicted.